Hosting a football party for the Big Game can be fun—but also a bit stressful. Rather than sacrificing your home (and your sanity) for the biggest NFL game of the year, check out these Anaheim hot spots perfect for catching all the action—with cheap beer on tap and classic game-watching grub on the menu. The open atmosphere of the Anaheim Packing House might seem like an unusual setting to watch NFL football, but in fact, it makes quite the perfect venue. Not only does it give you access to ample merchants offering a variety of food and bev options, but come February 5, a big screen will be positioned in the middle of the common area for watching the Bowl game. Bring your friends and grab a seat in the center of the action. If you’re going with a big group, be sure to get there early enough to save a space. Pull up a bar stool and chow down on one of Tony’s Deli’s hearty sandwiches while watching the big game. For something a little more intimate, try pulling up a bar stool at Tony’s Deli & Bottle Shop. With a focus on offering you great deli food, this spot is more than just a grab-and-go diner; it’s a fresh take on the classic sports bar. 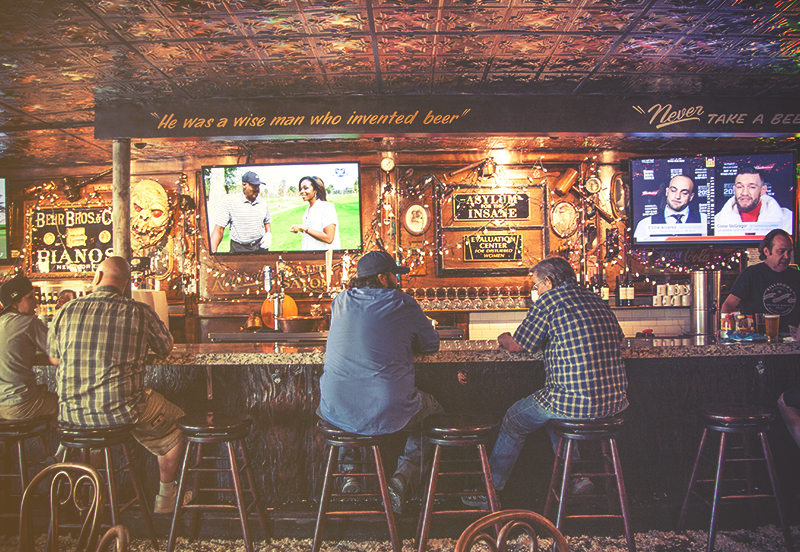 Sit down and peruse their menu of over 60 craft and imported bottled beers, 4 beers on tap and 25 bottled sodas. Take your time ordering from the list of classic and non-traditional sandwiches available. This low-key atmosphere also offers a couple of TVs conveniently placed to enjoy a more relaxing atmosphere for NFL game day. Health nuts like football, too. Get your fix of both at Gypsy Den! If you’d prefer to steer clear of the traditional wings and brats, stop in to Orange County’s original alternative café. 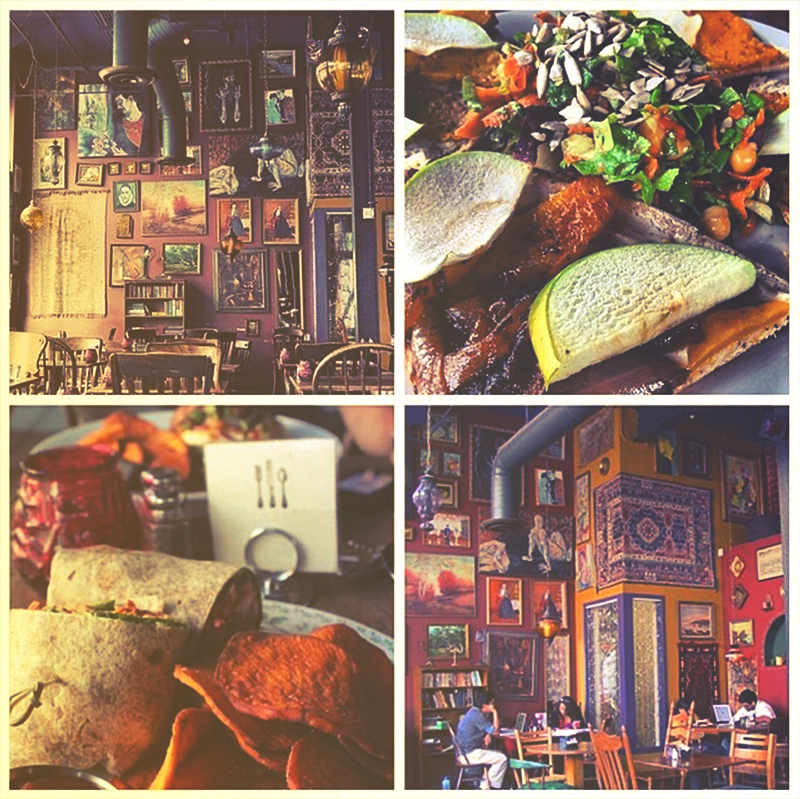 The Gypsy Den offers a menu filled with healthy and delicious vegetarian and vegan items from small bites to delicious dinner entrees. Their drink list features a variety of carefully crafted cocktails plus a selection of beer and wine. There is only one TV in the restaurant so be sure to arrive early enough to snag a spot on the couch or reserve one of the tables close by. With 20 rotating taps, pool tables and dart boards, free wi-fi, and happy hour every day of the week from 6 am to 8 pm, Juke Joint touts itself as the NFL headquarters for watching the big game. 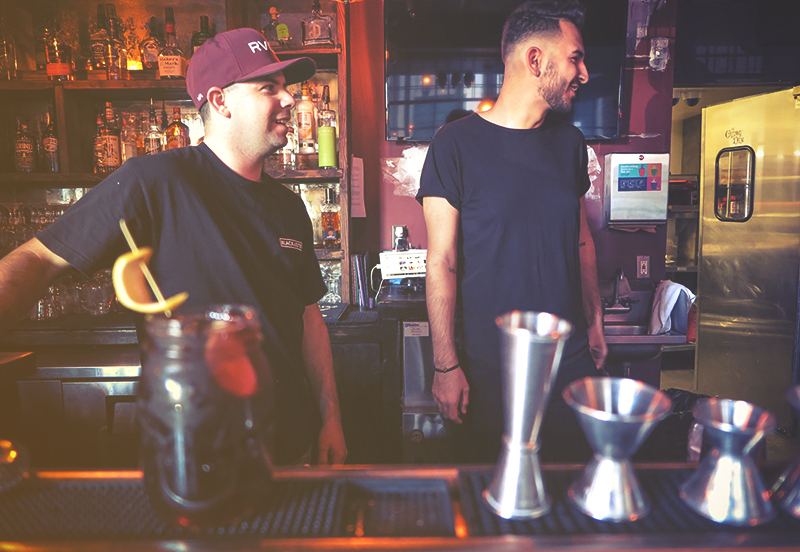 If you head to this venue, come prepared for a little more raucous than at the other venues on our list, but with all of the action and energy fostered at this Center City staple, you’re guaranteed a great time—so long as you brought your game face!